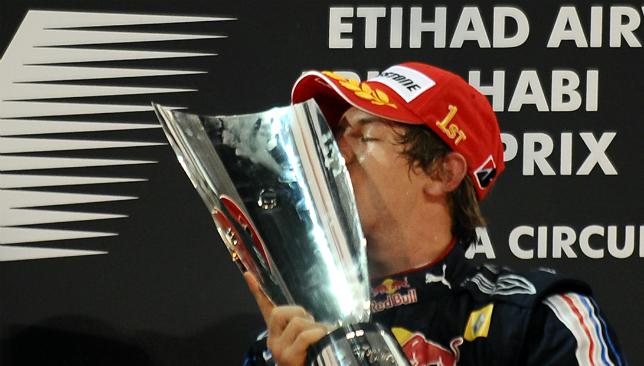 Sebastian Vettel won the first Abu Dhabi Grand Prix. Jenson Button summed it up beautifully. He and his Brawn Mercedes team – the phoenix rising from ashes of Honda’s failed F1 return – were embarking on the first Abu Dhabi Grand Prix weekend just 11 days after securing the Drivers’ World Championship in Brazil, so no wonder the 29-year-old Englishman was in easy-going mode. But drivers are competitive animals, and there was something at stake: the honour of being the first man to take victory on the UAE’s brand-new Yas Marina Circuit, whose state-of-the-art facilities had Formula 1 folk positively purring with pleasure. Part of the attraction, of course, was the way in which the whole track came glowingly to life as daylight faded and floodlighting picked out the spectacular setting, its architecture bowing gracefully to the country’s past while welcoming the modern phenomenon of Grand Prix racing with open arms. The quickest man in Friday’s opening practice session was none other than Lewis Hamilton, who was then a McLaren driver, albeit with Mercedes power. Hamilton is one of just five drivers in the 2018 field who competed in Abu Dhabi back in 2009, the others being Sebastian Vettel, Kimi Räikkönen, Fernando Alonso and Romain Grosjean. When things got serious in Saturday’s qualifying, Hamilton was first to claim pole at Yas Marina with a lap of 1:40.948 in Q3, though he had been quicker in both Q1 and Q2. Alongside him was Vettel’s Red Bull – so neither Brawn could make it to the front row. That simply underlined the fact that the 2009 season was the proverbial game of two halves. While Button won six times, those victories all came within the opening seven rounds. His teammate Rubens Barrichello claimed Brawn’s other two wins in 2009, and the fourth of their 1-2 finishes came in round 13 in Italy. But no-one was complaining, least of all Button’s competitors. Jarno Trulli of Toyota put it succinctly. But in the end neither the new world champion nor the pole-sitter could write his name in the Yas Marina history book – not yet, at least. Hamilton was sidelined by a right rear brake issue after 20 laps, leaving Vettel to bring his Red Bull home for the fifth win of his fledgling career. Button did, however, light up the race with his pursuit of Vettel’s teammate, Mark Webber, in the closing stages. The Australian, fresh from victory in Brazil, produced one of the finest drives of his F1 career to keep Button at bay and make it a Red Bull 1-2 finish ahead of the two Brawns. And in his typical pithy fashion, it was Webber who also had the last word on F1’s newest destination. “It’s an awesome place when it’s lit up,” he said. The intervening years have done nothing to contradict that view. 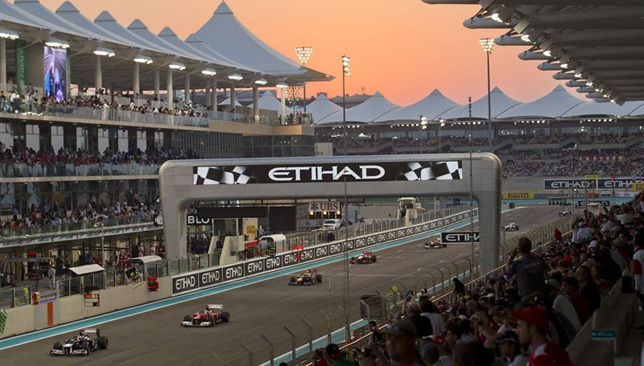 Tickets are now on sale for the 10th anniversary of the Abu Dhabi Grand Prix with fantastic packages to take advantage of. Incorporating the theme of ‘Swipe Up’, this year’s event which will run between November 23 to 25, will provide local, regional and international fans with all new layers and added value at the #AbuDhabiGP, providing more choice than ever before. For the first time, Yas Marina Circuit will offer ticket buyers the choice of booking their preferred seats in one of the five available Grandstands when buying online. This allows fans, families and entertainment seekers to pre-select their favourite seating options across the incredible array of ticket packages for the race. To help guests celebrate in style for 2018, the circuit has upgraded and revitalised its hospitality products, with totally new ticket options across a range of categories available. New for the anniversary, the one-day Paddock Club ticket has been created. Available for Dh3,450 the new Friday-only ticket package provides race goers with the ultimate experience and includes exclusive Paddock access, premium food and beverage options, plus the popular Thursday and Friday night After-Race Concerts. And visitors can book the new Terrace Hospitality packages in Main Grandstand with views of Turn 1 or North Grandstand, overlooking the hairpin and enjoy upscale hospitality located at the ends of each Grandstand. Families can also celebrate as organisers confirm that last year’s popular ‘Kids Go Free’ package will return in 2018, providing additional flexibility and value. With each three-day adult Grandstand ticket purchased, ‘Kids Go Free’. Up to four children under 12 will get free Friday entry to that Grandstand, as well as enjoying free access to the three Yas Island parks. Discounts are available until May 31. For more information on ticket packages, visit www.yasmarinacircuit.com. The CEO of Yas Marina Circuit has ignored Lewis Hamilton’s plea to make changes to the track design for now, but insists organisers behind Abu Dhabi’s Formula One race are looking at ‘options to deliver a better event’ in the future. 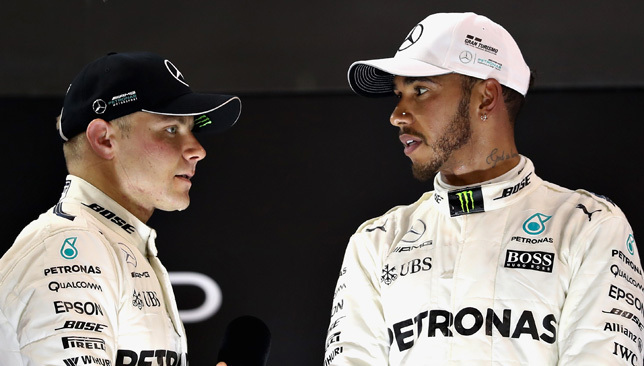 Mercedes driver Hamilton expressed his concern after struggling to overtake team-mate and eventual winner Valtteri Bottas in November’s season-finale in the UAE. “If there’s any way we can improve this track to enable us to have these battles, you’ve got these long straights where you can’t even get close enough to utilise them,” said the four-time world champion after the season-finale in which the top eight in that race finished in the same order as their qualifying positions. But speaking during the 2018 Abu Dhabi Grand Prix launch on Monday, Al Tareq Al Ameri says there are no plans to alter any aspect of the track for the time being.